The One-On-One Mentoring Program offers students, residents, fellows, and junior faculty a valuable opportunity to speak privately with a more senior SGIM mentor from a different institution. Even if you have a mentor at your own institution, this program will allow you to meet someone who may offer a new perspective on your professional goals and challenges. Topics for discussion may include early- or mid-career advice, research, job responsibilities and professional challenges. All participants will be asked to identify areas of interest to ensure pairs are matched according to their needs. Presenting at the meeting? Request a mentor and ask them to attend your presentation so they can provide you with feedback. The program offers senior SGIM members an opportunity to provide counseling and guidance to future SGIM leaders. Sign into www.sgim.org with your SGIM member credentials. Click on Mentoring Programs on the My Account menu (left-hand side). Under Mentoring Programs, select One-on-One Mentoring and click Add/Edit Program. Follow the prompts to complete sign up. Under Mentee Programs, select One-on-One Mentoring and click Add/Edit Program. Questions? Contact Jillian Gann, Director of Membership, at gannj@sgim.org. 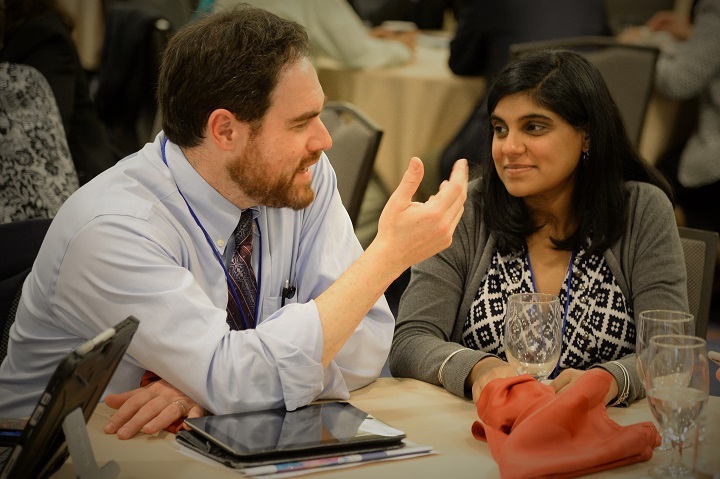 The mentoring panels offer another opportunity for students, residents, fellows, and faculty attending the SGIM conference to access mentors and have their questions answered on issues around practicing general internal medicine. The Women & Medicine Task Force’s Career Advising Program (CAP) is a longitudinal mentoring and sponsorship initiative to help female junior faculty successfully navigate the academic promotion process. By connecting these members with senior “Career Advisors” throughout SGIM (i.e., Associate or Full Professors), we hope to foster academic advancement of women in medicine. Advising focuses on CV preparation, targeted committee membership, and strategies for relationship-building with external promotion letter writers. Mentorship plays an essential role in ensuring success in academic medicine regardless of the level of training. Most medical schools assign mentors to medical students to ensure that they achieve and complete their medical school requirements. Similarly, residents and fellows have mentors to guide them through their training and to provide advice on career choices or research projects. Junior faculty and faculty of all levels also benefit from mentors throughout their academic career. The Mentorship in Academic Medicine Interest Group will focus on various aspects of mentorship such as guidelines to mentor clinician educators and researcher, evaluation and assess of mentors, peer mentorship and distant mentoring programs. One of the objectives of the Interest Group is to develop a repository of resources, guidelines or tool kits which can be disseminated or made available on websites to improve mentoring.